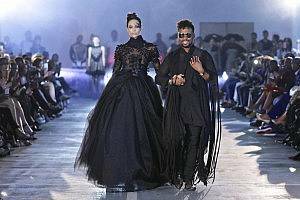 The vibrancy and creativity of African fashion designers adorned the runway at the Mercedes-Benz Fashion Week Joburg, by African Fashion International (AFI), from the 10 to 12 March at the Nelson Mandela Square in Sandton. Lighting designer Mauritz Jacobs from Dream Sets has become part and parcel of this anticipated event for the past 8 years. Photos by Simon Deiner from SDR photography. “This year I tried something completely different,” explained Mauritz. “We used 16 Robe ColorWash 2.5 K and 16 Robin 800 LEDWash to do the job, enabling the correct lighting for photographers while still adding colour changers and strobe effects.” Programming was on a grandMA2 full size. With the audience sitting right up against the ramp this year, Mauritz used an overhead truss instead of two side trusses. “When the angles are correct, there are no shadows under the model’s eyes and chin which is what you want,” he said. The fashion world demands models are lit on cue and not a second later. 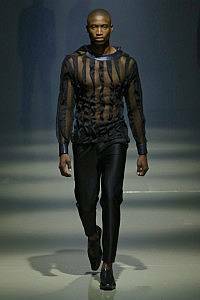 Freelancer Gary Sam operated the grandMA2 for each show while Mauritz worked out the set changes in the short 15 minutes between the various fashion shows. Dream Sets built the set that extended right up to the roof, as well as the 5m wide ramp (20mm high) that was painted grey and sealed to get the desired effect. Dream Sets also custom-built 120 benches, which seated the audience.